Monument’s most amazing music couple is back on our radar with their newest EP: a five song track list featuring their previously released single “Death of a Spirit Animal,” and four other brave and eclectic compositions focusing on breaking one’s own chains and embracing destiny. 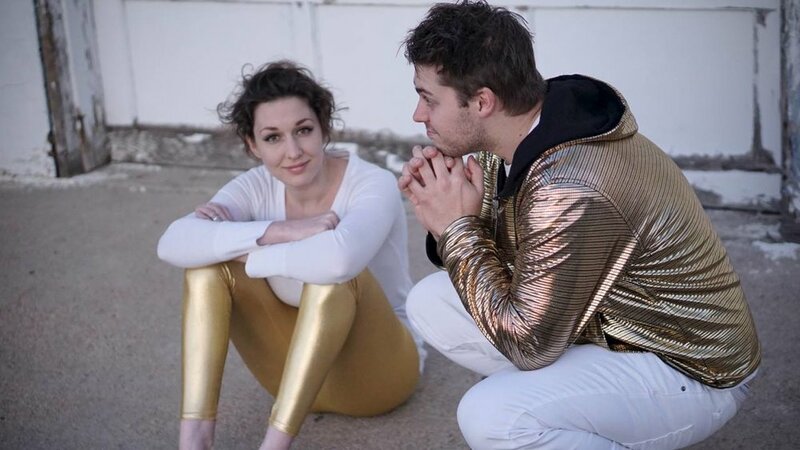 Get Along is indie dance/punk duo Nick and Cara Yanez, and since 2012 they've been constantly upping their musical game with each successive release. Let My People Go is no exception to their continuous upward trajectory, and along with it comes an array of new sounds that should impress existing fans and new ones alike. The EP christens us with “Death of a Metal Band,” an Arcade Fire type of upbeat, yet mercurial dance/pop number built upon piano and complimented by heavy guitars in the chorus. “Death of a Spirit” animal follows in a Feist-ish indie/pop array featuring delayed guitars and a brass section, flowing into “Let My People Go I” with its nods to Florence + the Machine in a drawn-out orchestral intro that bleeds into an electronic body of the song. “Let My People Go II” follows with an altogether different vibe. This part of the composition features hints of MUSE along with some intelligent usage of a vocoder for backing vocals. Finally, we arrive at “Exodus” and it's somber yet longing brightness in a style that’s familiar to FUN. in it’s piano man lounge-style which invokes a heavy feeling of reminiscence. You can check out Let My People Go on all major streaming services. And you can also join the duo in person at their EP Release Show this Friday September 22nd, at Syntax Physic Opera along with Turvy Organ and Ghostpulse. Details here.